A quick search of the internet reveals no shortage of people expressing dismay with the battery life of their new iPhone 4S devices running iOS 5. I too have joined the fray and expressed some frustrations with the lack of battery life of the 4S. My iPhone 4 had tremendous battery life. My typical iPhone day starts when I take it off my bed side charger between 7 and 8am and ends around midnight. My iPhone 4 would typically be around 70% with normal usage at the end of the day. The only times I really ran my batter down to the 30% range was when traveling and off WiFi and uploading a lot of pictures using spotty 3G service. Otherwise the battery life was outstanding. My 4S however is usually around 25% when I end a normal day - a huge drop in performance and no where near what Apple promised. If I have any variables now to my normal daily schedule my battery buffer is only 25% before I run out of power. One of the things I've always held of my Android friends is that my iPhone battery lasted a long time and they all would agree the iPhone had the better battery, that is until the 4S. I've invested fair bit of time trying to figure this out but have determined there isn't anything I can do. I've experimented with all sorts of configurations and with no luck. So here's what I suggest you do if you too have a 4S and the battery life is disappointing. Stop wasting time on it. Just use the phone and stop tweaking the settings in a futile attempt to resolve the problem. There are too many variables and current evidence suggests it isn't your issue anyway. You probably have it configured fine, just like you are probably holding it fine too. You are not alone, if you do find someone who posts their 4S has the same battery performance as their old 4 did please let me know. For most of us the battery does last the entire day and for me that lets me get my stuff done. It is just frustrating that compared to what we had before the latest and greatest appears to be under performing. Turning things off will eventually turn the iPhone into an iPod. I'm going to use the phone and the features I bought it for and until this gets fixed keep a charger handy. My iPad is also running iOS 5 and while it's battery life appears affected too it is not as great. Typically I can get several hours of use out of my iPad on the previous iOS version and only drop around 15%. Now I'm dropping around 30% but the iPad holds it battery life better when in standby then the iPhone does. While I don't like this I intend to be patient and wait this one out, with a charger close by. My guess is the engineers at Apple, who are much smarter than I am, will figure something out and resolve this problem soon enough for us all to go back to bragging to our Android friends that we again have superior battery life and superior devices. Until then welcome to the bleeding edge of technology. I’m a firm believer that technology should be designed to make our lives better and easier, not more complicated. With the release if iCloud last week I’ve been working hard to figure out how it can help improve my personal use of technology but also be used in our enterprise. Anytime I can use technology to automatically keep all my access point current then I consider it a win. For example, we have an Exchange server, which allows me to keep my email, contacts, calendar, and tasks updated and automatically synced between all my access devices. For me that is an iPhone, iPad, laptop, and desktop. One issue has been bookmarks. I like to keep my bookmarks synced between my devices so if I need to remote into an appliance on the network I can do that easily without having to remember an IP address. I used to do this using Live Mesh however that only did my laptop and my desktop. Live Mesh also failed when we started redirecting profiles for Windows 7 users, which included Favorites. Live Mesh is not able to sync a redirected folder or any network based folder so it broke and stopped working. I was hoping iCloud would be the solution to my problem but it isn’t, as iCloud also can’t sync to files on a network, which would include any folders you redirect. I think this is a major failure of technology companies. The argument is probably that these features are for home users to keep things in sync and not for those of us who use technology both at home and at work. How short sighted can you get? I’m sure I’m not the only person on the planet who thinks using iCloud to keep my bookmarks in sync between multiple devices, including those on an enterprise network they may have redirected folders and network based storage is a good idea. Why cut your market share in half here when from a purely technology perspective how hard can it be? My work around to being able to use iCloud at work was to ask our IT guy (me) to exempt my profile from redirecting the Favorites folder. 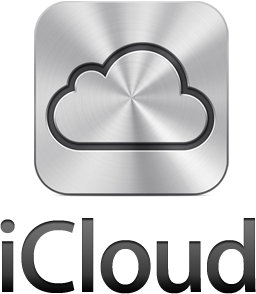 That allowed iCloud to work and work beautifully – much better even than Live Mesh ever did. Live Mesh would replicate files but you lost icons and sorts. iCloud perfectly mirrors what you have including custom sorts and icons. I was able to exempt my policy through a little GPO magic which would allow me, if I was so included, to provide this same service for others who might want to sync their Favorites between their work machine, home machine, and iDevices. iCloud will not work with redirected folder. Period. iCloud syncs better than Live Mesh. GPO can be used to allow users to work around this limitation while still maintaining a backup of their Favorites using roaming profiles. Maybe the genius’ at Microsoft or Apple will catch wind of this and figure out a way to open up their sync applications to work both on and off corporate networks thus helping even more people to enjoy their products. Why make technology harder than it has to be. Well, here we are still marooned on this island. I'm ready to take the next boat out of here. Google+ usage is plummeting and Google has even admitted unless they get some sort of integration running then time is running out on this service. People don't want 3 platforms to manage. Facebook and Twitter at least have their own built in levels of integration and if you don't like that then there are lots of apps that can help you post to both and manage both. Google+ has none of the above relagating them to mostly uselessness. An interesting survey was taken at a NASA HQ Tweetup I was at on Thursday. Over 75% of the room said they use Google+ but almost 100% of those who said they use it said they didn't like it because it was all by itself. If Google doesn't get with it quickly Google+ will become the next abandoned internet playground. MySpace anyone? At long last, I have finally figured out why I can’t post to Facebook reliably from HootSuite. It took some doing to figure that out. You can read about it here, be sure to view the comments as HootSuite responded multiple times to my post about this issue. HootSuite is a cloud-based service meaning the software and processes happen on their servers. This is one of their selling points because you don’t have to install the software on every machine but can access the software and data through the internet. The one catch is the software doesn’t update the data. If you make a change to your streams on your iPhone, those changes are not automatically reflected in your other apps or platforms. Perhaps they will get there someday. The issue with this approach in regards to Facebook, as pointed out in the comments from my last post on this is that all traffic goes through HootSuite’s servers and is viewed by Facebook as a single connection. As a result, if there is too much traffic going to Facebook then users are blocked. When people communicate through HootSuite to Facebook, they're going through a centralized server that parses the API calls. If Facebook hits a certain limit (we don't know what this limit is) from a certain profile, they will hit "the wall" so to speak -- and will be unable to send messages to Facebook until a certain time. When people install a client like TweetDeck on their computer, they're not going through a centralized server. Rather, their computer is communicating directly with Facebook's API. To be frank, they still are being ratelimited, but the results may be skewed due to not communicating through a centralized server. The advantage of parsing through a centralized server is that, no matter where you are in the world, you can log into HootSuite and know that the same messages you have scheduled will be visible in your Publisher queue. Hence, there is no need to install HootSuite on multiple machines since HootSuite is a service that is offered "in the cloud". That isn’t well documented anywhere that I can find on HootSuite’s support and help sites. To me this is a major issue as my reliability of use is directly affected by how much all the other users are posting. I can think of several programming fixes that would address this and I hope HootSuite spends some time figuring it out. Until they do, I will still have to use TweetDeck as a backup for when I’m limited in posting to Facebook through no fault of my own. I recently posted a comparison of TweetDeck vs HootSuite. Here is an update to that post. I've been having issues with posting to Facebook multiple times from HootSuite. As you know I tend to post a lot when I'm at various events. A few weeks ago I was at the launch of the GRAIL space craft at Kennedy Space Center. I was posting a lot and kept getting errors when posting to Facebook from HootSuite. I could post to Twitter fine but not to Facebook. It appeared that Facebook would only allow me to post so many times in a row and then it would block me for a certain period of time. I only had this issue with HootSuite. From TweetDeck I was able to post to both Twitter and Facebook as many times as I wanted in as short a period of time as I wanted without issue. I'm a HootSuite Pro user due to the number of accounts I manage so I'm paying for this service. That also means I get support. They closed my first ticket on this issue without a resolution so I opened it up again. Below is what they said. They basically repeated themselves and said it isn't there fault despite the fact that this only happens with their app. In the mean time when I'm doing a lot of posting, as I will be doing next week at the White House, Capitol Hill and NASA HQ I will probably have to use TweetDeck so that I can post without getting blocked. We do know that this is a result of Facebook's rate limiting. At the moment, we do not know what the exact amount of posts that triggers the rate limiting, but we do know this occurs. Do note that the rate limiting is not result of using HootSuite, but it is a result of sending a certain amount of messages to your Facebook profile. As Facebook's API is not something HootSuite controls, we can not adjust the amount of messages you are able to send within a certain period of time. At this time we suggest that you reduce the amount of Facebook messages you send out in a given period of time, and space out these posts in longer increments. Thanks for the response and confirmation that Facebook has a limit but isn't public about what triggers it. That is very helpful. However that doesn't explain why HootSuite gets blocked but I can switch over to TweetDeck and get my messages to go through just fine. If Facebook has a limit I would think it would apply to all apps using the API and not just to HootSuite so once my account was blocked from posting via HootSuite that same block should apply to TweetDeck if it is a function of the API. I have never had an issue posting in rapid fire fashion via TweetDeck. Again, I appreicate your response and that does help but in some ways it creates more questions than it solves. Does TweetDeck us a different API that is not limited? Facebook does rate limit the amount of posts you are able to send during the day. At the moment, we do not know what the exact amount of posts that triggers the rate limiting, but we do know this occurs. Do note that the rate limiting is not result of using HootSuite, but it is a result of sending a certain amount of messages to your Facebook profile. Do note that because HootSuite does not build Facebook's API, we can only provide service as is. It doesn't appear that I'm communicating effectively as I've answered all these questions before. Let me try to sum up what I've already said in the tickets. 1. I can post to Facebook, it just stops working when I post 3 or 4 times in a row and then I have to wait an unspecified amount of time before I can post again. So when I travel and am posting frequently it fails for periods of time after 3-4 posts in a row, within a minute of each other. To get around this I have to use TweetDeck which allows me to post over and over again with out issue. 2. The error message is just a red bar that says Trouble Sending to Social Network. When I send to Twitter it always works but when I send too many times in a row to Facebook I get this. After waiting for an unspecified amount of time it lets me do it again but after a few in a row it stops. The only error message is Trouble Sending to Social Network, no details or anything. 3. It seems to me as though HootSuite has a limit on the number of times you can post to Facebook within a time period and once that is violated it makes you wait for an amount of time before you can post again. 4. On a normal day I post to Facebook 8-10 times but they are not in a row. When traveling and at events i'm covering I'll post back to back to back posts and that is where the problem appears. 5. I have done everything asked of me in the tickets to try to solve this. I believe this to be a HootSuite problem that needs corrected. Resetting my account yet again or disconnecting from Facebook and reconnecting yet again won't solve this as I've done that and the problem keeps happening. Facebook states they have no limits that would cause this and I should check with my vendor. I apologize for being so blunt but I hope you can understand my frustration - especially when the ticket is marked closed and no solution has been provided. Are you still unable to post to your Facebook account? Are you seeing any error messages in your Facebook Pending stream? Are you seeing any red messages at the Past Scheduled section of Publisher? If a message has not been sent, there should an explanation in both views for why this is the case. This reqeust was closed but I don't see any reason why it was closed. I have not had the problem lately as I haven't been posting as much however next week I'll be traveling again and posting a lot so I need to know that my paid HootSuite app is going to work and reliably post to both Twitter and Facebook every time. Otherwise I'm going to consider cancelling my paid account and using TweetDeck. Even though it is lacking in featurs it relaibly allows me to post to both Twitter and Facebook all the time regardless of how many posts I make. It is a bit frustrating that I did everything you reqeusted, no resolution was made available, and yet the ticket was closed. Next week I’m going to try an experiment with the TSA at the Indianapolis International Airport. I travel frequently and as you know from reading this blog, I’ve had many unique experiences with the TSA. I’m traveling to Washington, D.C. for 3 events. First, I’m attending a Tweetup at the White House for the arrival ceremony for the President of South Korea. South Korea is the most wired and connected country in the world. I’m looking forward to learning about how other cultures connect via Social Media. Attending the arrival ceremony on the South Lawn will also be cool. Second, and my dad will be joining me at this part of the day, we are meeting with Senator Coat’s office from Indiana for a tour of the Capitol and gallery access to watch both the House and the Senate in action. Finally, our day ends with a NASA Tweetup event at NASA Headquarters with the crew of STS-135, the final shuttle mission. I saw STS-135 launch and am looking forward to meeting the crew. One of the biggest hassles with traveling is taking my pocketknife with me, especially as I rarely check a bag. 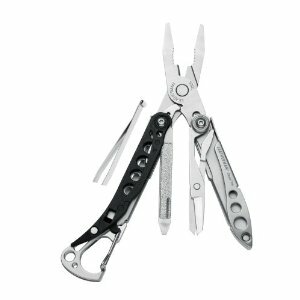 I feel lost without my Leatherman Micra. I’ve even had to mail it to myself a few times but for the last 15 years I’ve been able to hold on to the same one. The Micra can’t travel on planes because it has a small knife blade. When we found out we were going to DC together he suggested I buy one. If I can get it through the TSA then he will buy one. If it is confiscated then he will buy me another one. Deal and game on. So, next week I will be taking this device through the TSA checkpoints at IND and then again at DCA on the way home. According to the online reviews, folks are able to get this device through as it is fully compliant with TSA requirements – to see how my luck works out be sure to subscribe to this blog. I haven’t decided if I’m going to just put it in my bag and see if it is flagged and examined or if I’m going to put it in a bin on its own to see if the TSA is familiar with it. As a backup, I do plan to have the website printed out to show them should any issues arise. Part of me hopes I don’t have to use the print out, part of me does. Stay tuned.